For Whom Intended Individuals performing or preparing to perform hands-on bench work for thermodynamic measurement and calibration. Supervisors and managers of thermodynamic measurement and calibration personnel. Brief Course Description Course 133 commences by introducing physical measurement. After defining the different quantities to be measured, the course next covers units of measurement and measuring methods. Students are introduced to the basic theory associated with each of the measurements/calibrations discussed. The course covers error propagation, dimensional equations, traceability and a brief introduction to probability and statistics, before proceeding with specific measurement/calibration techniques. Measurement/calibration techniques covered include temperature, humidity, pressure/vacuum and flow. A procedure is provided for each of the measurement techniques covered, together with a sample of a specific measurement. Each procedure includes an equipment list and set-up, together with recommended documentation. 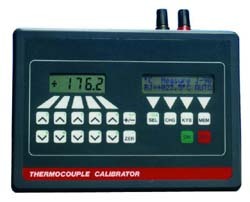 For each measurement/calibration technique, tips and suggestions are offered to minimize error and obtain an accurate measurement/calibration. Participants successfully completing this course will be able to understand, evaluate and use a variety of thermodynamic measurement and calibration techniques. Diploma Programs This course is recommended for TTi's Metrology/Calibration Specialist (MCS) Diploma Program. It may be used as an optional course for any other TTi specialist diploma program.